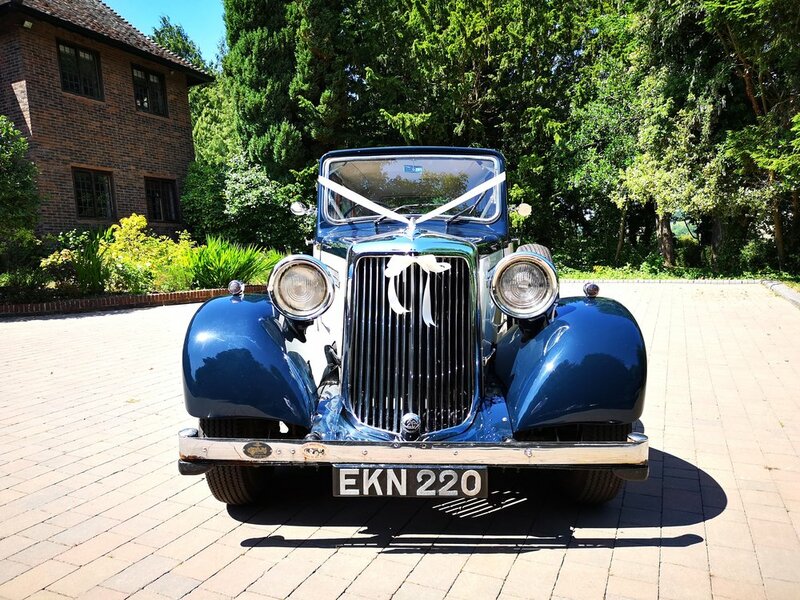 We offer bespoke packages tailored around what you want from your wedding, from low key celebrations to larger events, we can help you to put your own personal stamp on the day. 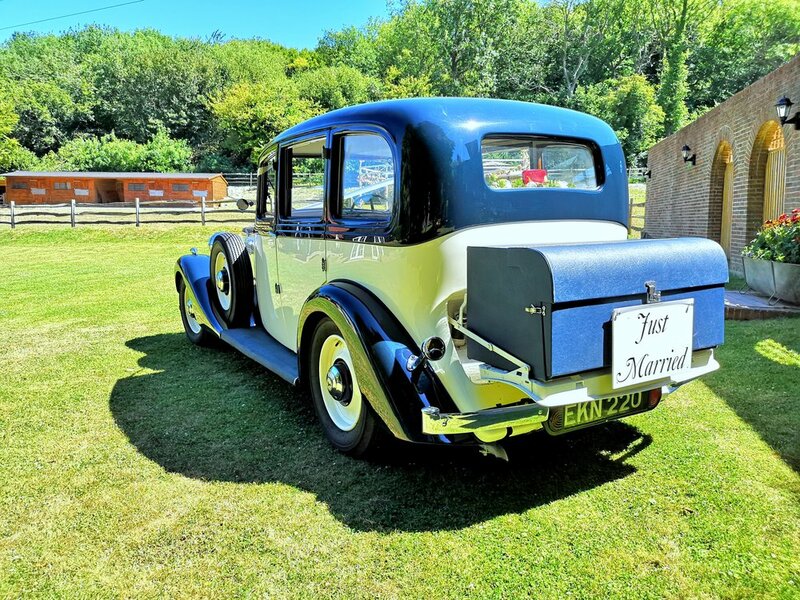 We are fully licensed to hold Weddings and Civil Ceremonies, allowing you to spend your special day from start to finish in one location set in six acres of private secluded grounds which are gated off from the public, surrounded by rolling fields and woodland with extensive well maintained lawns which can accommodate most sizes of marquees. 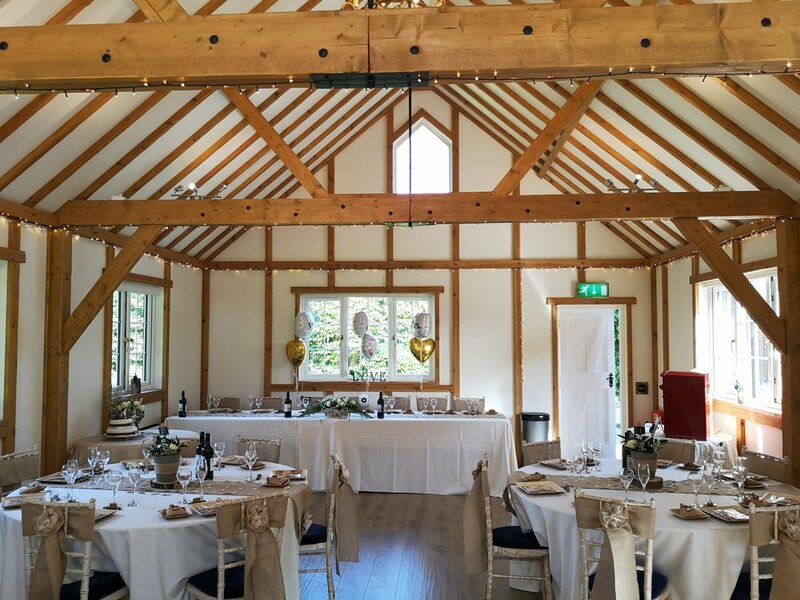 Featuring a high, well lit ceiling with exposed timber beams, large windows and french doors to allow plenty of natural light, the School house can be arranged and dressed to suit your style. 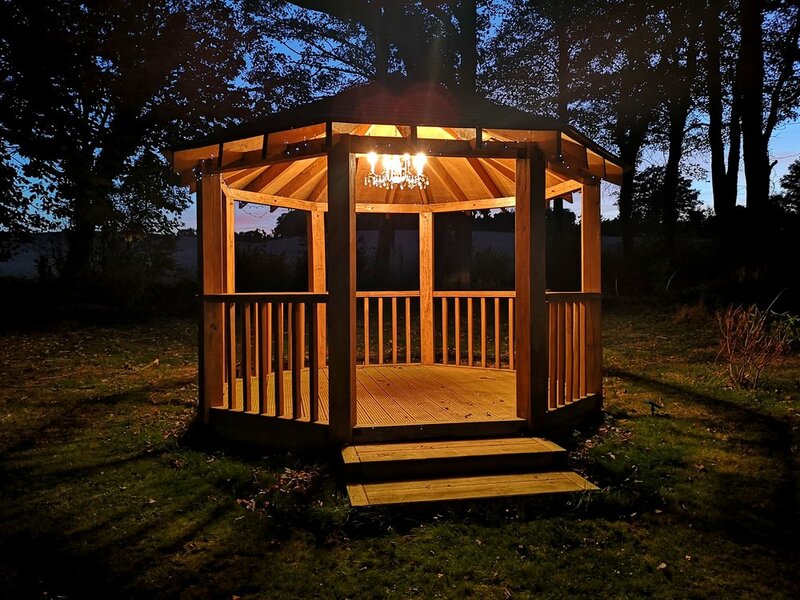 A traditional oak framed two bay cart shed with a slate tiled roof, this open-faced cart shed is situated on a paved courtyard, providing a lovely outdoor option that can be dressed to your style. 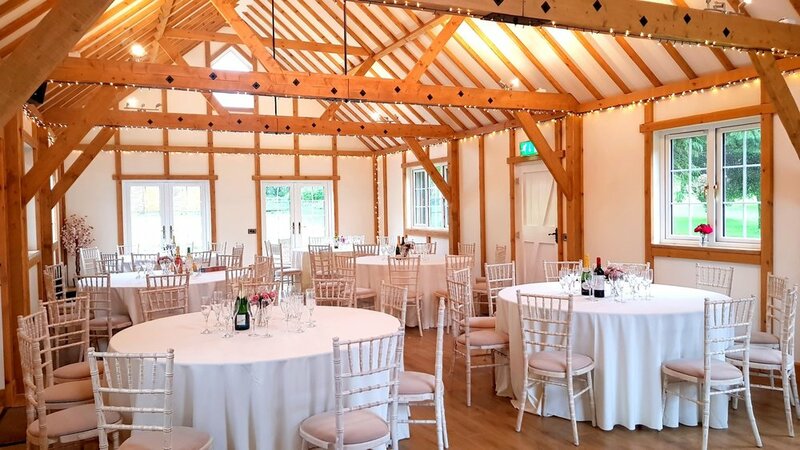 A beautiful oak framed bandstand, situated in the heart of our exquisite landscaped gardens, allowing you and your wedding party to enjoy the sunshine and open air as your ceremony takes place. There are various table layout, chair and color options to choose from so the room can be arranged to suit your style and requirements. 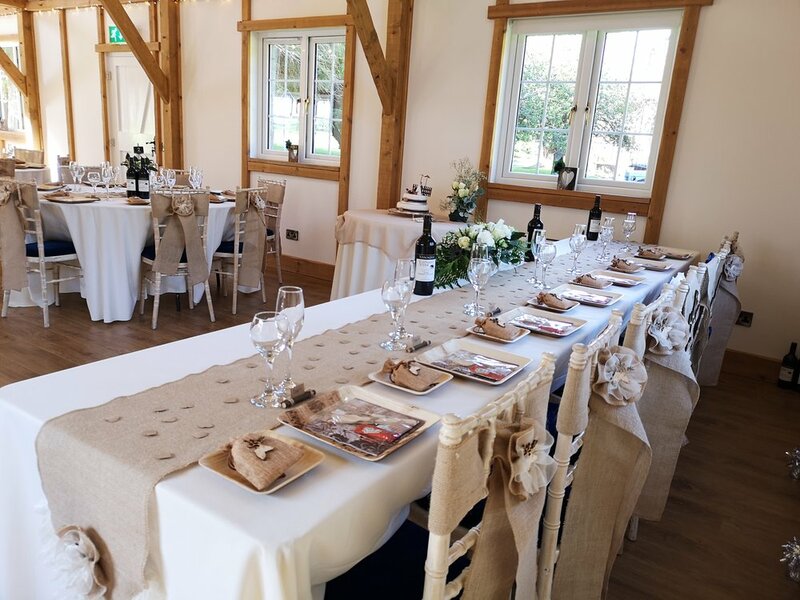 With the round tables shown we can accommodate a maximum of 80 guests, if your numbers exceed this we can supply a marquee on the lawn for up to 120 seated guests. 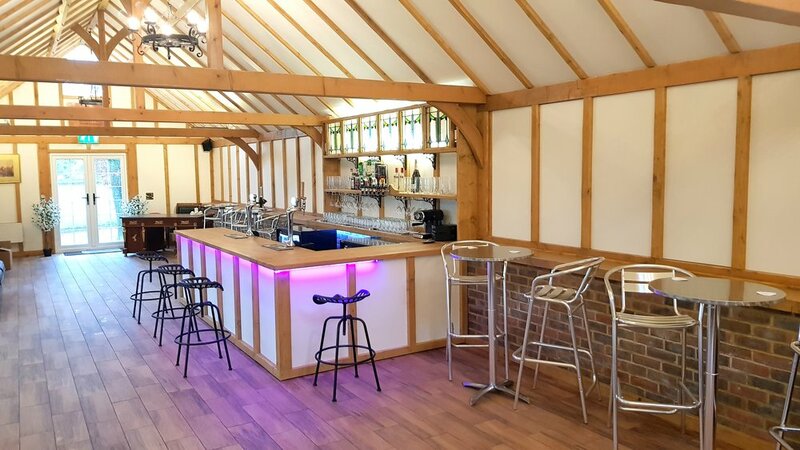 Our Bar, Cart Shed & School House surround an inner courtyard which is perfect for accommodating Live Bands, DJ's and any other entertainment. This helps keep all your guests in the same location without feeling confined into one room or space. 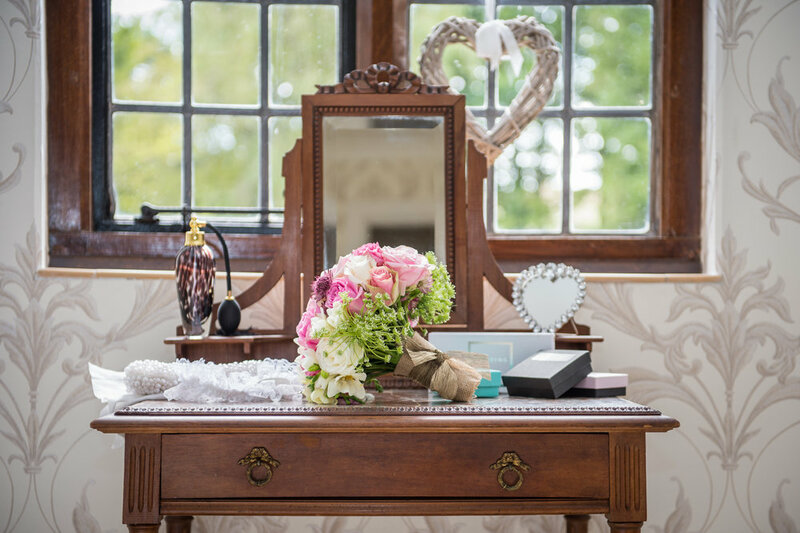 Included in any package is one night's stay in the Bridal Suite for you and your partner - you can choose to stay before, after, or even both. 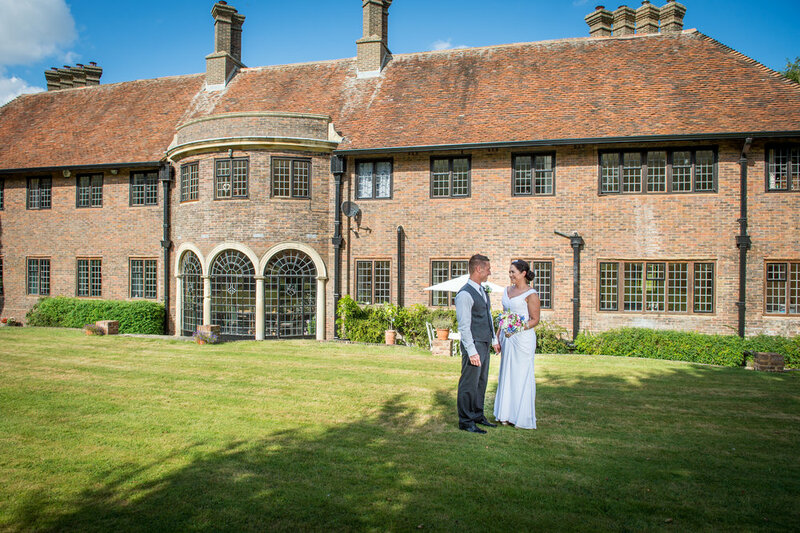 There are plenty of rooms and facilities available for getting ready, the main corridors can be curtained off ensuring you and your partner do not set eyes on each other until the right moment. 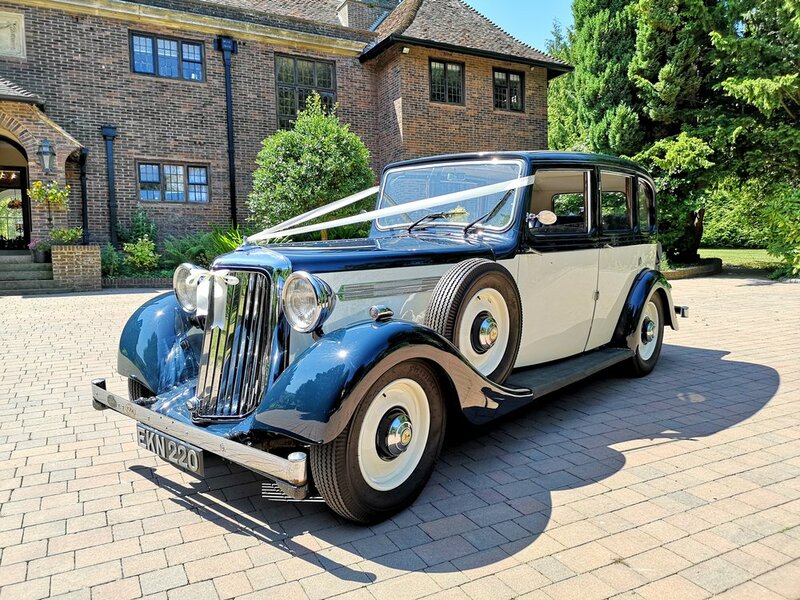 We are able to offer a 50% Price reduction on your Honeymoon if it is booked at any of the properties on the recommended properties page of this website. Just click on the images of the properties and it will direct you to the websites for more photos and details.